Features :Range : 16A to 125A,2P/3PBreaking Capacity : 10kAConfirms to IS/IEC60947-2,IS/IEC60947-2MC.. Description :Miniature circuit breakers are used in small scale premises and domestic dwellings and .. Features :Range : 20A to 630A,3P/4PBreaking Capacity : 25kA/36kA/50kA/70kAConfirms to IEC60947-2,IS/.. Features :RCCBs are available in DP and FP versions from 25A to 100A ratings with 30mA, 100mA and 30.. Suitable For MNX / MCX Contactors (MNX 9-40A)Mounting- Front / Top MountingType- 1NO/NC, 2NO/NC, 3NO.. 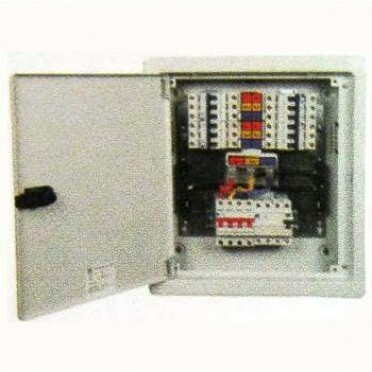 Features :Range : 16A to 100A, 3PBreaking Capacity : 10kAConfirms to IS/IEC60947-2,IS/IEC60947-2Comp..